Build your own arduino powered candy grabber machine‬‏ « Adafruit Industries – Makers, hackers, artists, designers and engineers! Awesome project tutorial from MahmoudTolba on instructables! 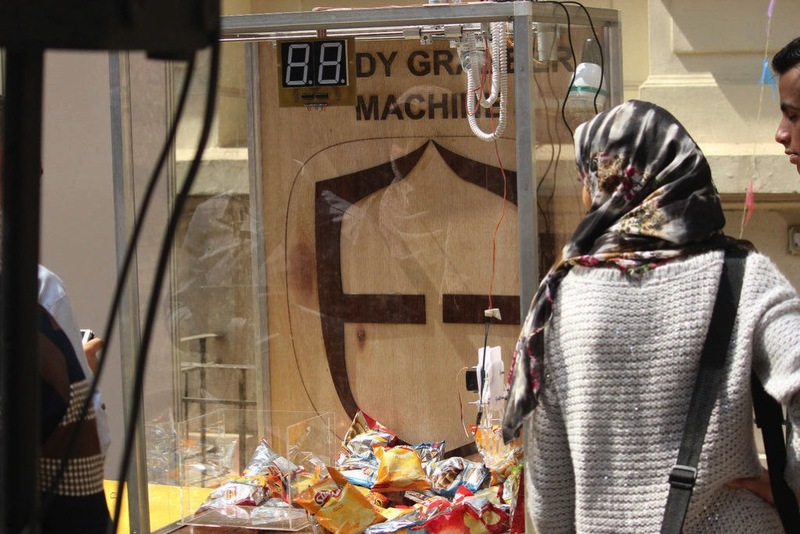 Simply, this project is a candy grabber machine controlled using Arduino and 1Sheeld via Game pad Shield . 1Sheeld is a platform for Arduino that allows you to tap into your smartphone’s sensors and capabilities and lets you use them in your Arduino projects. Basically, It is a hardware shield that sits on top of your Arduino board and communicates over Bluetooth to this Android app, to transfer data between it and your smartphone. I’ve included all the needed files ( CAD drawings, Circuits schematics and layouts, Arduino codes and Adobe Illustrator files for laser cutter) to help any one to build his own machine.